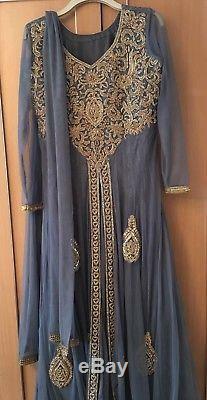 Ladies Indian Fancy grey long dress with embroidery and beads and scarf. 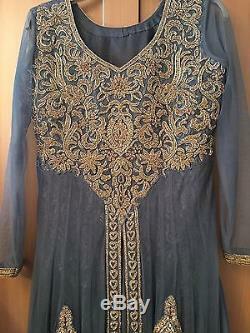 Size M UK 12-14 approx. Only used once and is in very good condition. 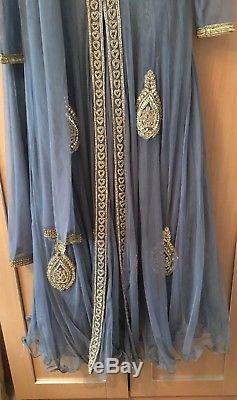 The item "Indian Wedding Grey Maxi Dress Salwar Shalwar Kameez Scarf Abaya Kaftan Size M/L" is in sale since Wednesday, January 3, 2018. 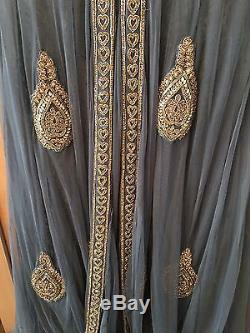 This item is in the category "Clothes, Shoes & Accessories\World & Traditional Clothing\Southwest Asia/Middle East". The seller is "yorkshirehomebargains" and is located in bradford. This item can be shipped worldwide.